Mr. Salen is an intellectual property attorney and focuses his practice on intellectual property litigation trademark prosecution, copyright prosecution, patent prosecution, and intellectual property licensing in the areas of healthcare information technology, software, medical devices, optics, nanotechnology, computer devices, and data storage. Mr. Salen litigates patent, trademark, copyright, and trade secret cases in federal district court as well as in front of the Patent and Trademark Office’s Patent Trial and Appeal Board (PTAB) and Trademark Trial and Appeal Board (TTAB). Mr. Salen brings with him 16 years of business and technology experience in both the healthcare and data storage industries. He was Chief Technology Officer at ONRAD, Inc., product manager at GE Healthcare, manager of the customer care program at Hitachi Data Systems, systems engineer at Memorial Sloan-Kettering Cancer Center, and a research and development engineer in the field of optics and nanotechnology at Micrion Corporation. He has published multiple peer-reviewed articles in the fields of optics and nanotechnology, as well as multiple healthcare business journal articles. Patent Litigation: Mr. Salen represents several clients in patent litigation and prosecution matters, including clients in the medical device industry, healthcare industry, wireless communications industry, jewelry industry, and electronics industry. 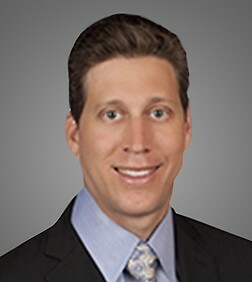 Patent Prosecution: Mr. Salen is admitted to the U.S. Patent and Trademark Office (USPTO) and has filed or prosecuted patents directed towards software, electronics, medical devices, fashion and jewelry, including submitting patent applications, responding to office actions, and litigating post grant review proceedings. Trademark and Copyright: Mr. Salen represents clients in prosecuting, licensing, and litigating their trademarks and copyrights, both domestically and internationally. Mr. Salen represents clients from the electronics industry, medical device industry, nutrition industry, biotech industry, foods and service industry, and apparel, fashion, and jewelry industry. Other Intellectual Property: Mr. Salen represents several clients in licensing and/or litigating “soft” intellectual property matters that include claims of misappropriation of trade secrets, breach of contract, unfair competition, interference with an economic advantage, among others. Mr. Salen represents clients from the medical device industry, healthcare industry, apparel industry, wireless communications industry, among others. Pro Bono: Mr. Salen recently represented a client in a complex asylum case. The client, a Bangladeshi national, was detained without bond for four years after crossing the U.S.-Mexico border without documentation. He immediately petitioned for asylum because of persecution in Bangladesh based on his political affiliation. After a successful appeal from the Ninth Circuit, we recently obtained a favorable ruling on bond and are now waiting to re-litigate his asylum petition. Mr. Salen also serves on the firm’s Pro Bono Committee. Recent clients include Chevron, ACT, DICOM Systems, Disney, Jayden Star, MasterCard, MEMS Start, Nanomedical Diagnostics, RamSoft, San Diego Gas and Electric, Varentec, Piper Networks, and Yobe. Recent clients include Allomind, Benchmark Electronics, Bosa Development, CAQH, Clover Health, Concorde Battery, DICOM Systems, Essentra, HomeFed Corporation, Jayden Star, Nanomedical Diagnostics, Le Raisin Imports, San Diego County Credit Union, Titan Health and Security Technologies, Virtuasol, and the USS Midway Museum. Wyeth LLC et al. v. Alembic Pharmaceuticals et al., No. 1:16-cv-01305-RGA (D. Del.). Represents generic drug manufacturer, Alembic Pharmaceuticals, in an ANDA dispute against Wyeth and Pfizer involving the drug Bosulif. Blueprint Studios Trends v. Theoni, No. 3:17-cv-05050-JSC (N.D. Cal.). Represents Plaintiff, Blueprint Studios, in a design patent infringement case involving furniture designs. TCL Communication Technology Holdings, Ltd. et al. v. Telefonaktiebolaget LM Ericsson et al., No. 8:14-cv-341 (CD Cal). Represents TCL in breach-of-contract and declaratory-judgment action relating to FRAND and the IPR policies of ETSI and 3GPP for 2G GSM/GPRS/EDGE, 3G UMTS, and 4G LTE technology. Ericsson Inc. et al. v. TCL Communication Technology Holdings, Ltd. et al., No. 2:15-cv-11 (ED Tex). Represents TCL in a five-patent infringement action relating to patents Ericsson alleged cover aspects of cellular phone hardware and the Android OS. TCL counter-sued on two patents relating to LTE cellular network infrastructure and base stations. Ericsson Inc. et al. v. TCL Communication Technology Holdings, Ltd. et al., No. 2:14-cv-667 (ED Tex). Represents TCL in a two-patent infringement action relating to patents Ericsson alleged cover the 2G, 3G, and 4G standards. TCL counter-sued on two patents related to LTE cellular networks and communications. Nature’s Wing Fin Design, LLC v. Aqua-Lung America, Inc. et al., No. 8:17-cv-00048 (C.D. Cal.). Represented Aqua-Lung in a patent licensing and trade secret dispute against Nature’s Wing Fin Design involving swim fin technology. Vstream v. PLR IP Holdings LLC et al, No. 15-cv-00974 (ED Tex). Represented Ricoh in an action patent infringement action relating to image processing technology and digital cameras. Rosetta-Wireless Corp. v. High Tech Computer Corp. et al, No. 15-cv-10603 (N.D. Il). Represents HTC in an action patent infringement action relating to wireless device technology. LendingTree, LLC v. Zillow, Inc. et al., No. 3:10-cv-439 (W.D.N.C.). Represented LendingTree in an antitrust and patent infringement lawsuit involving a method and computer network for coordinating a loan over the Internet. Gridco, Inc. v. Varentec, Inc., Nos. IPR2017-01134, IPR2017-01135. Represented Patent Owner, Varentec, in successfully overcoming all asserted grounds in Inter Partes Review challenges of two Varentec patents. Prime Focus Creative Services Canada Inc. v. Legend3D, Inc., No. IPR2016-01491. Represents Legend3D in multiple Inter Partes Review proceedings involving image processing technology. KSP Co. LTD v. Guala Pack S.P.A., No. IPR2016-01065. Represented Petitioner KSP in an Inter Partes Review proceeding challenging a patent directed to tamper proof packaging. TCL Corporation et al. v. Telefonaktiebolaget LM Ericsson, Nos. IPR2015-1602, IPR2015-1637, IPR2015-1641, IPR2015-1646, IPR2015-1674, IPR2015-1676, IPR2015-1761, and IPR2015-1806. Represented Petitioner TCL in eight different Inter Partes Review proceedings challenging a patent directed to touchscreen technology as used in wireless handsets. Teladoc, Inc. v. American Well Corp, Nos. IPR2015-00924, IPR2016-00100, IPR2016-00101, IPR2016-01167. Represented Petitioner Teladoc in four different Inter Partes Review proceedings challenging two patents directed to telemedicine software. Citizens Equity First Credit Union v. San Diego County Credit Union, Cancellation No. 92066165 (TTAB). Represents San Diego County Credit Union in defending a petition to cancel the trademark IT’S NOT BIG BANK BANKING. IT’S BETTER..
HomeFed Corporation v. Ascaya, Inc. c/o CTF Development Inc., Cancellation No. 3588854 (TTAB). Represented HomeFed in a petition to cancel the trademark ASCAYA. Vox. Media, Inc. v. Virtuasol Software, Inc., Opposition No. 91234558 (TTAB). Represented Virtuasol in defending an opposition of its trademark PLAYGON. Jayden Star LLC v. Ken Craft, Inc., No. 16-cv-00064 (ED Tex). Represented Jayden Star in in an action for trade dress, trademark, copyright infringement, state and federal unfair competition, and intentional interference with a contract involving jewelry products. RamSoft, Inc. v. Imaging Advantage, LLC et al., No. 14-cv-335 (CD Cal). Represented RamSoft in an action for breach of contract, copyright infringement, copyright management information removal/alteration, trade secret misappropriation, and intentional interference with contract involving medical imaging software. Private Label Nutraceuticals v. Vox Nutrition et al, No. 14-cv-00037 (Utah). Represented Private Label Nutraceuticals in an action for trademark infringement and unfair competition. Cobra Systems, Inc. v. Accuform Manufacturing, Inc., No. 13-cv-5932 (CD Cal). Represented Cobra in an action for copyright infringement, copyright management information removal/alteration, trademark infringement, state and federal unfair competition, and breach of contract involving industrial printers. Angioscore, Inc. v. Konstantino, et al., No. RG14725578 (Cal. Superior Court). Represented Angioscore in a patent infringement lawsuit, and related indemnification lawsuit, involving medical device technology. Provided strategic counseling regarding a competitor’s patent portfolio, including formulating non-infringement and invalidity analyses that provided significant leverage for the client’s licensing negotiations with the competitor. Provide counseling on intellectual property provisions in business agreements, mergers and acquisitions, financing agreements, and other intellectual property related diligence.